What more can be said about the city that's never out of the gossip rags? Well the first thing that will surprise you about Tinseltown, is how hilly it is for such a flat city. And green. 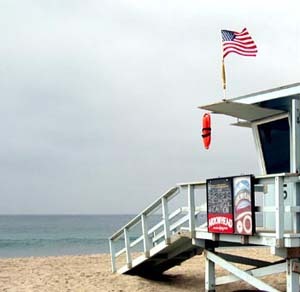 Take a trip up Sunset Boulevard; winding past hotels, bars and sights that seem so familiar - a cursory nod to Bel Air as you head through the designer shops of Rodeo Drive; bypass Downtown and wind up in Santa Monica on the beach - this is the Los Angeles of legend and it doesn't disappoint. Yes the theme parks are there, and the multi lane highways are never too far away. And the smog that seems to hover over the city like a fuzzy orange canopy - it is all present and correct. But the city also has a thriving cultural scene, the restaurants are superb and the shopping is excellent. Head to this site to get the low down on LA.